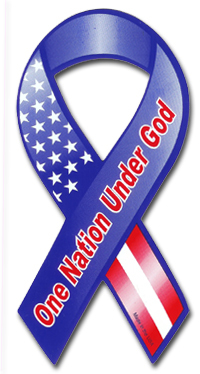 This One Nation Under God Ribbon Car Magnet 4" x 8" ribbon magnet is manufactured and printed in the United States of America. We print on premium quality, super-thick (.030) magnetic material with top quality, UV protected inks. Be sure to remove, clean and reposition your magnet weekly.